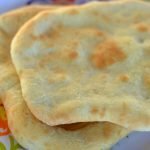 This Air Fryer Naan recipe is not only super easy to make it is also delicious!! You will only make your Naan in an air fryer after this! I’ve been on an Air Fryer recipe craze lately, as you may have noticed. It all started when I made Perogies in the Air Fryer and Air Fryer burritos but my Air Fryer Beignets recipe was the biggest hit of all! Lately, I have been all about making sweet treats with the Air Fryer Smores Poptart recipe and Air Fryer French Toast recipe, Air Fryer Churros recipe and most recently, my Air Fryer Donuts recipe. Lately I have been obsessed with Bollywood movies and songs, which have led to my craving even Indian food. One of my favorite Indian dishes? NAAN!!! Since I have been all about the Air Fryer, I wondered how Naan in the Air Fryer would turn out. Spoiler: It turned out freaking DELICIOUS!! 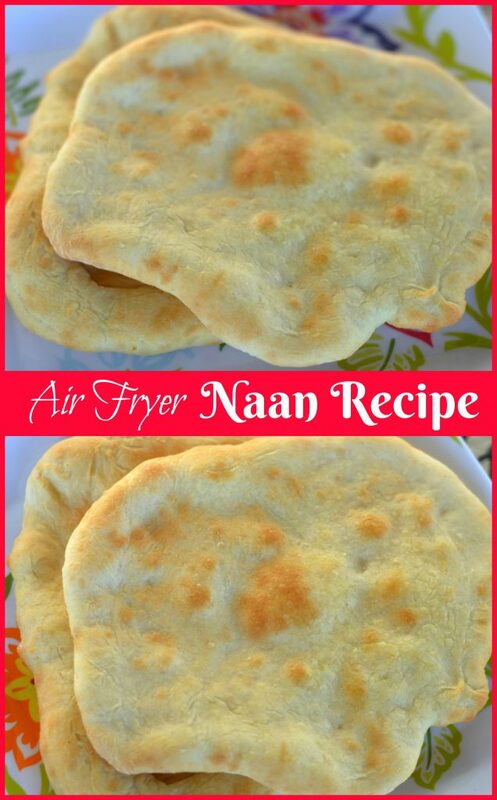 So, that brings you all this Air Fryer Naan Recipe!! Combine warn water, sugar and yeast in a bowl and let stand for 5 minutes until foamy. Add salt and flour and mix thoroughly. Knead dough on a floured area about 20 times and form into a tight ball. Put dough in well oiled bowl, cover with a damp towel, place in a warm are and allow 45 minutes to rise. Turn dough out onto a floured workspace and divide into 8 balls. Use a rolling pin to flatten to about 1/8 inch thick. Spray each side with olive oil and cook in the airfryer about 6 minutes on 380 degrees. Remember to flip the Naan about halfway through the cooking process and enjoy! I have been obssessed with my Air Fryer and rightly so, everything just turns out PERFECTLY in it. 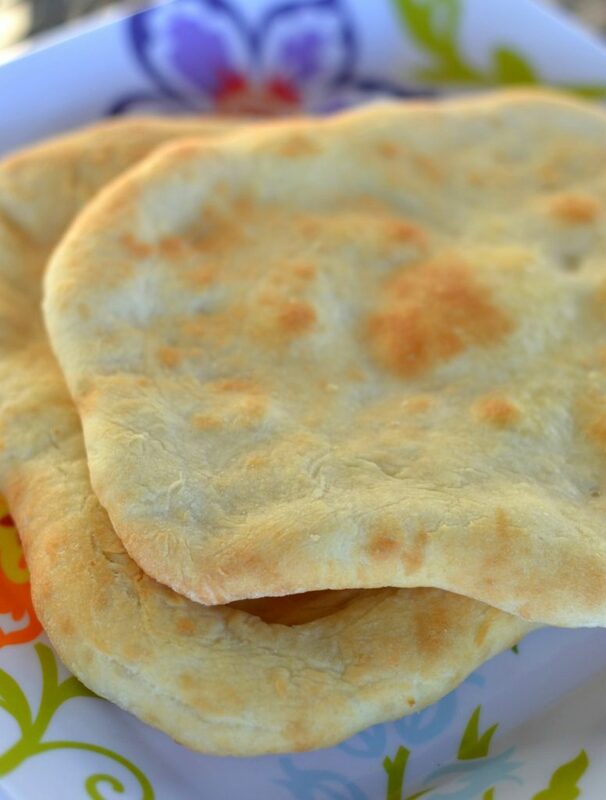 Check out this Air Fryer Naan Recipe, another winner in my book!